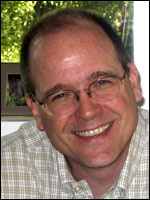 Mr. Holton is a Licensed Clinical Social Worker with 30 years of experience. He received his Masters in Social Work from the University of North Carolina at Chapel Hill. He worked at the Granville County Mental Health Center and at Kaiser Permanente before joining HRC. He is the Past President of the North Carolina Society of Clinical Hypnosis. He has taught psychotherapy to psychiatry residents at Duke and to social work graduate students at UNC-CH, and has supervised both graduate students from East Carolina University and psychotherapists in private practice. The goals of my practice are to create a safe environment in which clients can comfortably address difficult issues without fear of judgment, and develop strategies that can be used between sessions to make meaningful changes resulting in less suffering and more satisfaction with their lives. I blend mindfulness and skill-based approaches in my work. I see adults, children, couples and families. Appointments: Please leave a message on voice mail and I will return your call.